Oluce presents the new lamps collection in Milan, with a stand designed by the architect Ferruccio Laviani that is presenting the world of Oluce through a series of fluid environments, where indoor and outdoor alternate seamlessly. Among the news there is Ilo, a pendant lamp created by Madrid-based designer David Lopez Quincoces. The architectural references and clean shapes that make up Ilo act as a perfect balance to its subtle decorative soul and its fine quality finishes, creating an object with a multifaceted beauty, able to fit in with the most varied worlds and styles. 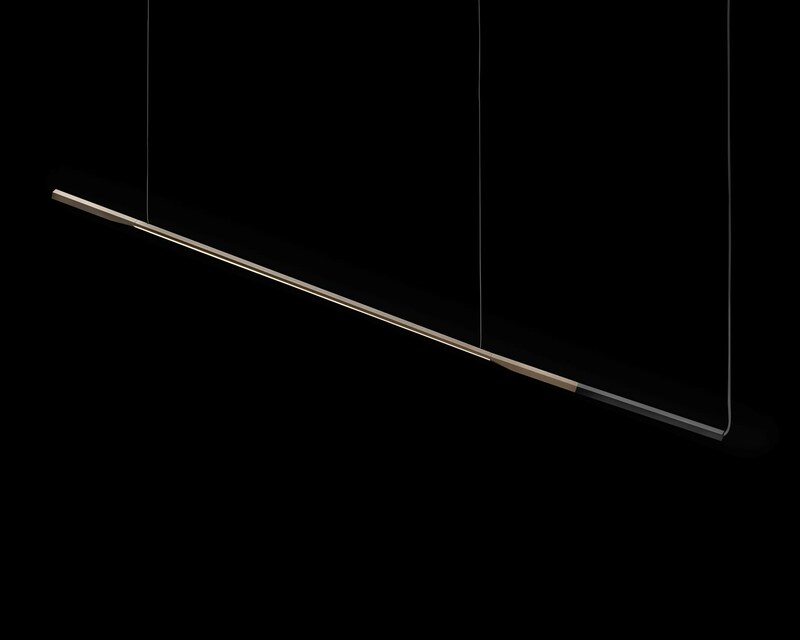 The lamp consists of an aluminium bar expertly worked with precision mechanics, chromatically divided into two parts. 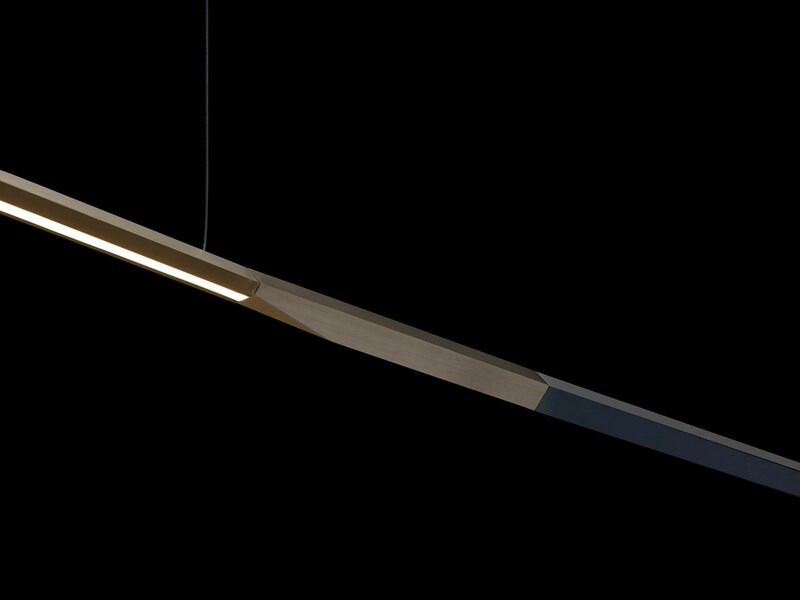 The first is configured as a sort of handle, while the second contains the long LED light source.